Beautifully detailed, rhodium plated Formula 1 Racing Car Cufflinks with gold coloured driver and moving wheels. A great gift for any follower of Formula 1 or motor racing fan. 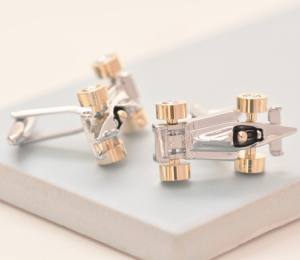 The F1 Racing Car Cufflinks make a great statement on a cuff. 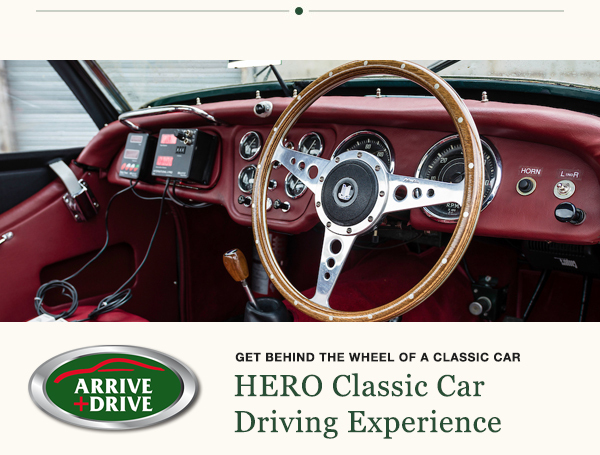 Rhodium plated with gold coloured detailing on the wheels and driver's helmet and moving wheels to make them extra special. Complete with swivel post fastening for easy fastening. 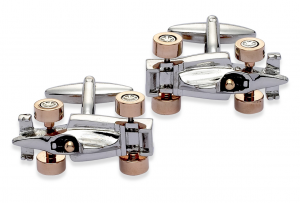 Presented in a mock croc cufflinks box they make an ideal gift for that special man. Team it with our Formula 1 keyring or 4GB Memory stick for the complete motoring gift.